Please note: Use Scar Repairex® for 4 weeks prior to micro-needling to soften Hypertrophic scars. Healthy Reticular Collagen induction without thermal injury or fibrosis. Do not force the roller into the skin. Simply use mild pressure. After the treatment, wash the Dermarollex® in sterilising fluid. Apply the relevant PharmaClinix® cream to the skin, until absorbed. Roll the head onto the skin, firmly, but slowly, to make sure that the needles penetrate the surface layer. Roll at the same intensity four times each vertically, horizontally & diagonally. Re-apply the cream after rolling the skin to get maximum benefit. Use once a week, preferably before bed-time, gradually increasing to five times a week over 4 weeks. Wash the Dermarollex® under running hot water. Sterilize the Dermarollex®, with household disinfectant or sterilising liquid. Immerse in half a glass of the liquid for 15 minutes. Allow to dry completely, before putting into its plastic case. Use one roller per person. Do NOT use in active acne, raised scars, eczema, rosacea, psoriasis, severe solar keratosis and raised moles or warts. Do not apply on eyelids. For safety & hygienic purposes; Store in the supplied plastic box. Needle size of more than 0.2mm should be used under medical supervision only. Description:Complete Anti-ageing night serumPre & Post-Anti-ageing proceduresAnti Agex® helps re.. 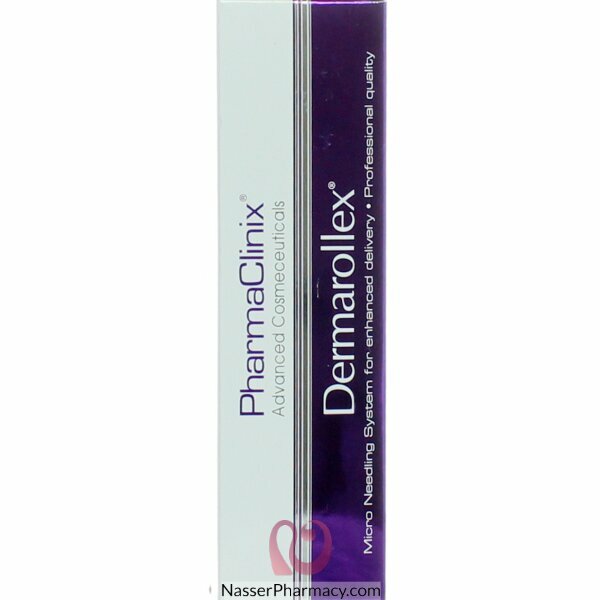 Description:Dermarollex® is available in eleven sizes for accurate treatments:Re-usable (single pati.. Description:Most resistant Hyperpigmentation, Deep Dermal Melasma with hyperkeratosis.Lightenex.. Description:For old resistant extensive scarring eg. burns & keloidsScar Repairex Ultra is espec.. DESCRIPTION :Moisturizing total sun block cream, containing titanium dioxide, which offers maximum p..